How to perform long press operation in SfDataGrid? You can perform the long press operations in SfDataGrid by hooking the SfDataGrid.GridLongPressed event. Refer the below code example in which the SfDataGrid is loaded and the GridLongPressed event is hooked. 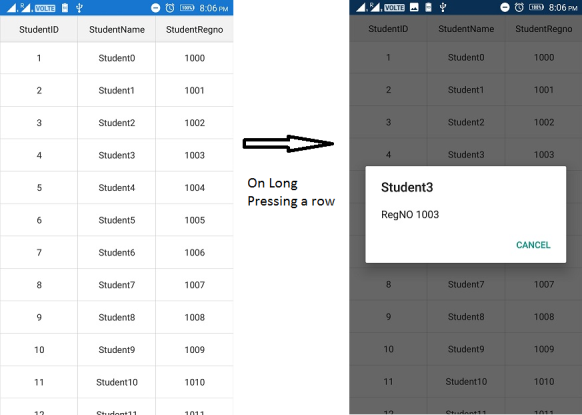 The below code illustrates displaying a DisplayAlert to display the underlying data of the long pressing row.